On the 3 September 1928 Fleming discovered an antibiotic substance and named it Penicillin, from the mould Penicillium notatum. Fleming was born on 6 August 1881 at Lochfield farm near Darvel, in Ayrshire, Scotland. The term antibiotics literally means “against life” but the life in this case is harmful microbes. Although some advances in antibiotics had occurred a few years before this date none of these had impact that penicillin did, Fleming started the Antibiotic era. British scientist Alexander Fleming was working in his laboratory at St. Mary’s Hospital in London when almost by accident, he discovered a naturally growing substance that could attack certain bacteria. 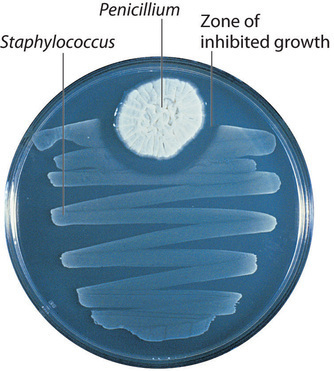 Fleming observed colonies of the common Staphylococcus aureus bacteria that had been worn down or killed by mold growing on the same plate or petri dish. Fleming said: "When I woke up just after dawn on September 28, 1928, I certainly didn't plan to revolutionise all medicine by discovering the world's first antibiotic, or bacteria killer," Fleming would later say, "But I suppose that was exactly what I did." Other researchers started recreating Fleming’s experiments. Soon enough penicillin was being made to begin testing it on animals and then humans. In 1941, they found that even low levels of penicillin cured very serious infections, it saved many lives. 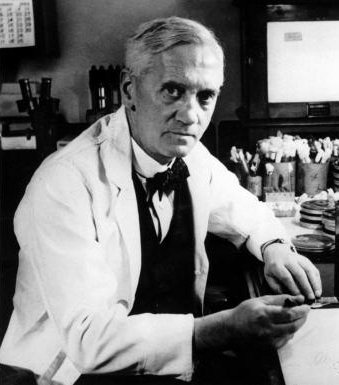 For his discoveries, Alexander Fleming won the Nobel Prize in Physiology and Medicine. With the success of penicillin, the race to produce other antibiotics began. Today, paediatricians and other doctors can choose from dozens of antibiotics. Every day millions of antibiotics are being prescribed all around the world. Together with Jenner's invention of Vaccination and Antiseptic millions of us can enjoy a healthy life.